All MEADOWS PARCEL 2B homes currently listed for sale in Peoria as of 04/20/2019 are shown below. You can change the search criteria at any time by pressing the 'Change Search' button below. "Welcome to Peoria's hottest new master planned community. 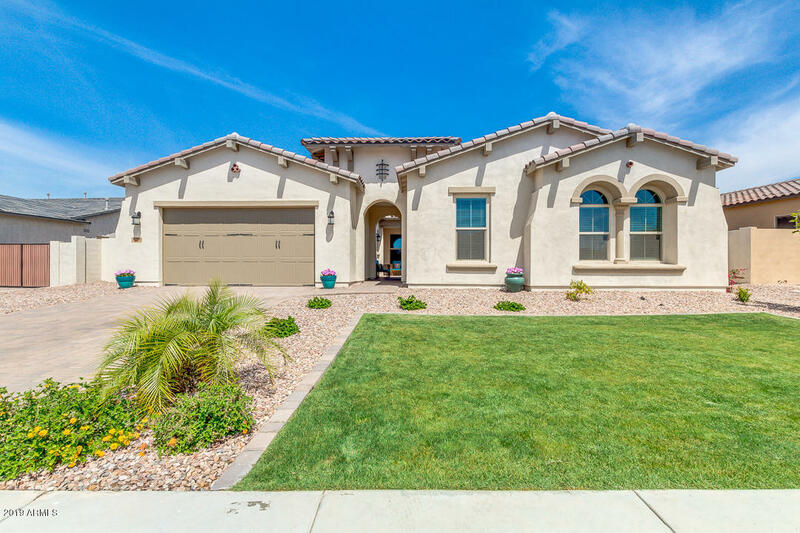 Skip the wait for a new build and jump on this popular Cholla floorplan by Maracay Homes. This 4 bedroom, 3 full bathroom energy efficient home features an open, greatroom floorplan and is situated on an oversized 11,000 s/f lot with RV parking permitted. Stylish kitchen is complete with upgraded white cabinetry, granite counter tops, gas range, double ovens, built in microwave, walk-in pantry and pendant lighting. The spacious master bed"